Chronic headaches can be effectively treated with nerve block injections at the Headache, Migraine & Concussion Centre. These injections can reduce the frequency and severity of migraine, cluster, and tension headaches as well as related health conditions. The nerve block combines anti-inflammatory medications with local anesthetics. When injected near a nerve, the nerve block prevents the release of chemicals that send pain signals to the brain. Therapeutic nerve blocks are used to treat specific medical conditions and can be targeted to the face, scalp, forehead, neck and upper back. This major nerve system includes the greater occipital nerve, which extends from the top of the spine to the muscles deep in the neck, shoulders, and scalp. The lesser occipital nerve travels from the cervical spine to the skull. How Is a Nerve Block Performed? This minimally invasive treatment is effective for headaches associated with the occipital nerve. This includes pain that begins at the base of the skull before spreading to the rest of the head. Injections to this nerve prevent pain signals from being sent to the brain, limiting the development of headaches. This safe, effective procedure takes just a few minutes and is done in our office. A tiny needle is placed near the occipital nerve to inject the medication. This both prevents pain signals from reaching the brain and reduces uncomfortable inflammation. After the injection, most people notice immediate pain relief, which lasts for several days before another treatment is needed. However, this varies among individuals. 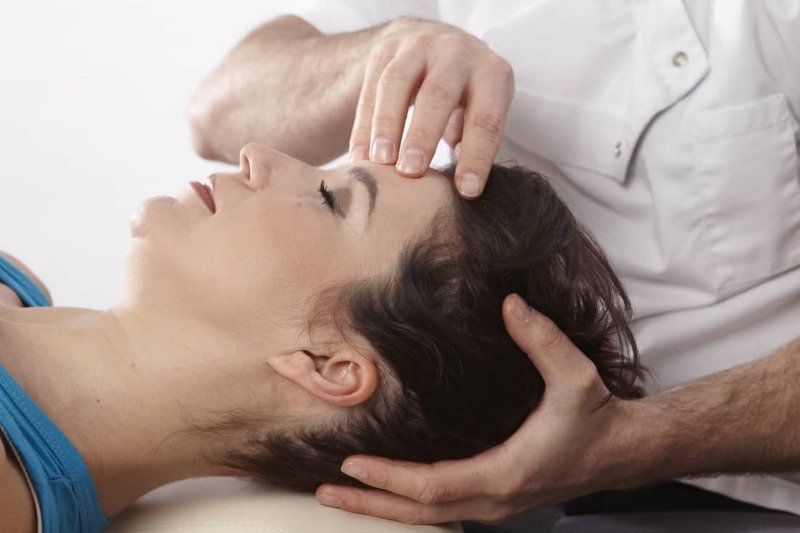 Some require several treatments before headache pain is alleviated. Numbness often occurs on one side of the head after the nerve block. However, this should not interfere with normal activities. Nerve blocks are safe for most individuals. Side effects are typically minor and may include bleeding, swelling, or tenderness at the injection site. What Conditions Are Associated With the Occipital Nerve Block? An occipital nerve block is effective for treating chronic pain that does not respond to other types of treatments. Often, headaches that manifest with a throbbing, burning, or radiating pain can be effectively treated with an occipital nerve block. This includes both chronic and episodic migraines, chronic and episodic cluster headaches, tension headaches, and occipital neuralgia and cervicogenic headaches. Migraines are defined as headache pain that lasts between 4 to 72 hours and includes symptoms such as sensitivity to light and sound. Up to 12 percent of Americans are affected by this common type of headache. Cluster headaches are characterized by severe pain behind the eyes that occurs every day for weeks or even months. These are often mistaken for seasonal allergy symptoms because they tend to occur in the spring and fall. Tension headaches develop because of contracted muscles in the head and neck, caused by stress, anxiety, or depression. This is the most common type of headache among adults, and they can last anywhere from half an hour to several days. The pain is often described as a squeezing sensation and affects the forehead and/or the back of the head. A nerve block is sometimes used to diagnose suspected cases of occipital neuralgia, a throbbing or stabbing head and neck pain caused by damage to this nerve. Occipital neuralgia may be related to head or neck trauma, repetitive neck movement, and other health issues. Cervicogenic headaches are caused by an underlying injury or disease affecting the cervical spine, the upper region of the neck. Individuals who have these headaches often experience reduced range of motion, worsening pain with certain movements, pain that radiates from the back of the neck to the eyes and forehead, and/or pain on just one side of the head. If you have chronic moderate to severe headache pain that has not responded to treatments such as oral medication or lifestyle changes, you may be able to benefit from an occipital nerve block. Contact the staff at Headache, Migraine & Concussion Centre at 905-477-4677 for an evaluation.